TAKING the lead in another biopiracy case after Bt brinjal, the National Biodiversity Authority (NBA) has decided to challenge the alleged misappropriation of the germplasm of Indian melon, Cucumis melo, by US agri-biotech giant Monsanto Company. NBA plans to file a pre-grant opposition (an application opposing the patent before it is granted) to the patent application of Monsanto before the US Patent Office. Monsanto has applied for a patent for the breeding of melon seeds resistant to closterovirus using molecular biology. 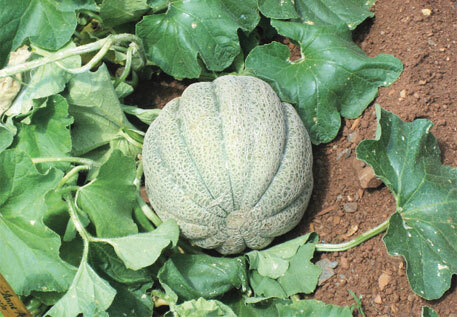 The virus causes cucurbit yellow stunting disorder in melons, turning the leaves yellow and stunting the plant growth. First detected in 2006 in cantaloupe and honeydew melons, watermelon and squash in the US, the virus has since spread across North America, Europe and North Africa. NBA’s decision has come after the 31-member Expert Committee on Agrobiodiversity, headed by E A Siddiq, recommended taking legal action against the alleged violators of the Biodiversity Act. C melo’s resistance to the virus is already registered in international seed banks as P13 13970. Monsanto has already obtained a European patent on this seed breeding through its Dutch subsidiary, Monsanto Invest N V. The patent was originally filed by DeRuiter Seeds Group in the EU in 2005. In 2008, Monsanto Invest acquired DeRuiter and thus received the EU patent—EP1962578—granted in May 2011. NBA sources say by the time they learnt of the patent the time for opposing it was over. The spokesperson adds that since the scope of the patent is limited, the germplasm line from which the innovation was achieved remains available for all breeders and seed researchers. The patent does not restrict further research and development efforts with the germplasm line, he adds. No Patents on Seeds, an international coalition of non-profits and advocacy groups like GeneWatch and Greenpeace, however, fears that with this patent Monsanto can block access to all breeding material inheriting the resistance derived from C melo. Melon breeders and farmers could be severely restricted by the patent as it might discourage future breeding efforts and the development of new melon varieties.